With the death of John Cowley the worlds of crystallography, microscopy and materials lost a great scientist, those who knew him personally lost a friend, and those who had the privilege of working with him lost, in addition, a mentor. For working with John was a remarkable experience. His insight into the fundamental physics underlying some, frequently confused, phenomenon was eerie and allowed him to describe and then analyse the situation in often deceptively simple but in fact decisive mathematical language. John Cowley was born on 18 February, 1923 at Peterborough, South Australia. John’s early education was pursued in a succession of small country state schools as his father, a Methodist minister, was called to a succession of circuits. His parents were determined that their four children should enjoy the educational opportunities that circumstances had denied them, and in this they succeeded handsomely with three graduating from the University of Adelaide. John started his secondary education in a country state school but almost immediately won a scholarship to Prince Alfred College, where, in turn, he won the scholarship that took him to the University of Adelaide in 1940 at the age of seventeen. At the University of Adelaide he obtained a first class honours in physics in 1943 and an MSc in 1945. At that time, while the physics department had few staff and limited resources, it enjoyed a well-deserved reputation in the training of its students. In particular, both John and an earlier student, Sir Mark Oliphant, both acknowledged that they benefited greatly from the guidance of the Senior Lecturer, Dr RS Burdon. It was in those years that John first encountered electron diffraction and came into direct contact with wave-particle duality. While he was always mindful of Bohr’s assessment of those who believed that they understood quantum mechanics, John never appeared to have any doubt as to how he might set about describing a quantum system, relishing and by no means being dismayed by anti-intuitive outcomes. As many of his colleagues can attest, the wave nature of the electron was no remote or discouragingly abstract conception to him. Peering at the viewing screen while he manipulated the controls of an electron microscope, he could be seen to be thinking in terms of wave functions. His work in Adelaide brought him to the attention of Dr (later Sir) Ian Wark, Chief of the Division of Industrial Chemistry of Australia’s CSIR; and of Dr Lloyd Rees, who encouraged him to join the Chemical Physics Section, just then being set up in the Division under Rees’ leadership. The broad intention behind the formation of this Section was to ensure that expertise in emerging techniques in physics that were likely to find application in chemistry should be available within CSIR. 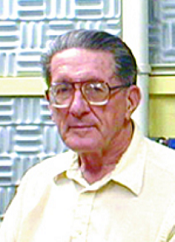 In addition, Lloyd Rees laid a particular emphasis on the development of novel instruments. Since staff were expected to combine long-term research with collaborative work on short-term projects of immediate application, both Wark and Rees devoted a good deal of consideration to the selection of those who might be supposed to possess both the ability and the temperament appropriate to such varied activities. John Cowley fitted happily into this category and his impact was immediate. Within the next three years he had designed and brought into operation an X-ray diffractometer, collaborated in the design and operation of a high-resolution electron diffraction camera and, along with a number of colleagues, published papers on subjects ranging from the structure of industrially significant minerals, through aspects of yielding in steel to lubrication, solid-state rectifiers and the refraction of electrons in polyhedral crystals. He took leave of absence to study for a PhD (awarded in 1949) under the direction of Professor R Warren at Massachusetts Institute of Technology in the United States; and it was here that, arguably, he first attracted wide international attention with his work, both experimental and theoretical, on order in alloys. On his return to Melbourne, John again became involved in a variety of unusually diverse projects: some of direct application, others of a long-term strategic nature. Two main themes emerged, in his longer-term work, namely the extraction of structural information from single-crystal electron diffraction patterns and the quantitative analysis of dynamical scattering data. In 1962, he was appointed the Chamber of Manufactures Chair of Physics in the University of Melbourne where he set up a highly individual school of extraordinary productivity, numbering amongst its graduates some of the most distinguished current workers in the field. During this period, he also wrote Diffraction Physics, one of the central texts in crystallography and one that has remained indispensable, equally to two generations of students and to their supervisors. In its directness, clarity and simplicity it bears, as all great scientific books do, an unmistakable personal stamp. The work carried through on many-beam scattering had treated inelastic interactions by assigning an absorption coefficient to each structure amplitude. This is limited to providing only phenomenological descriptions of, say, Borrman effects. John set about repairing this deficiency and, in a series of papers with his post-graduate students, laid the foundations for what has evolved into a field in its own right, extending into microscopy as well as diffraction. The development of n-beam theory had been stimulated equally by diffraction and microscopy and central points having been established in diffraction, applications could be confidently undertaken in microscopy. The resolution now available in commercial electron microscopes was just sufficient to explore crucial points raised by Wadsley’s seminal work in inorganic chemistry and X-ray diffraction. This work had been carried through in CSIRO and it was again in this organisation that central results ‘ for instance, confirmation of the existence of Wadsley defects and the coexistence of a range of phases in the block oxides ‘ was established by electron microscopy, necessarily utilising many beams. The Wadsley defect constitutes a delicate test since typically there is only a change in stoichiometry, with little or no attendant strain across the ‘shear plane’ with vertex sharing changing into edge sharing, say, so that near-atomic resolution is required, even for detection. John, in part through his students, collaborated at an early stage in the research and this extended to incisive work undertaken later in America on high-resolution lattice imaging, initially of the block oxides. It was characteristic of John that his entire attention, on this as on other occasions, was directed towards the scientific outcomes of the inquiry. Collaboration, as ever, was therefore very straightforward. The all too familiar difficulties involving personalities and, above all, institutions, simply never arose. Concurrently with these activities, John revisited his seminal work on short-range ordering and, along with his collaborators, substantially extended its range of application. This, among other matters, led to the development of a graphic model involving the curvature of the Fermi surface and its relation to the diffuse scattering observed in the electron diffraction patterns of certain groups of materials. From the time of von Laue, reciprocity, a subtle symmetry which, as it later emerged, is associated at a fundamental level with wave equations, has at various times occupied a great variety of crystallographers. John emphasised the importance of this symmetry to his students, two of whom, in a key paper, invoked Green functions to establish that reciprocity is inherent in SchrÃ¶dinger’s equation and applies to n-beam, not merely to two-beam, diffraction. John had always been particularly adept at exploiting this symmetry, a notable example being afforded by a particularly important, apparently simple and certainly short paper that he published in 1969. This generalised previous results and, in a stroke, revealed the relationship between images generated by transmission electron microscopy and those generated by scanning transmission microscopy, a matter much canvassed at that time. The paper has an added significance in that it reveals the direction in which John’s approach to research was turning, namely towards the development and utilisation of a highly individual, generalised scanning instrument. In designing this instrument, John’s formidable array of varied abilities were deployed in profusion; from workshop practice through solid state physics to light and electron optics, and to the mathematical physics of vibration and of quantum mechanics. These efforts laid the foundations for some of the seminal work that lay in the future. At a conference on solid state chemistry in Scottsdale, Arizona in 1969, Cowley was approached by Professor Leroy Eyring about the possibility of establishing an electron microscopy group in the Center for Solid State Science at Arizona State University (ASU) in Tempe, near Phoenix in the United States. Cowley moved in 1970 to take up the Galvin Chair of Physics at ASU, taking with him from Australia his colleague Professor A Strojnik, a mechanical workshop instrumentation specialist, four PhD students and several postdoctoral associates. The early 1980s were an exciting time for the ASU group, with the influx of several new faculty appointments and outstanding postdoctoral researchers in Cowley’s field. These appointments by a supportive ASU administration followed the National Science Foundation’s award in 1979 of about US$1 500 000 (for three years) for a continuing grant for a regional and later national instrumentation facility for high-resolution electron microscopy at ASU, directed by Cowley. Many new scientific projects which spanned the scientific interests of the faculty, from the earth sciences to solid state physics and chemistry and surface science, were devised and funded. The mission of the facility, the development and application of HREM, required an extensive user program, an annual international conference (‘workshop’), and a winter school each year to teach the practical methods of HREM. Cowley took on this considerable workload with the support of the management committee and particularly that of the laboratory manager John Wheatley and his assistants, who were responsible for the upkeep of the transmission electron microscopes of various types, eventually eight in number. The dedication of the four technical staff of the facility was crucial to its success, which saw a continuous stream of national and international visitors and microscope users that has continued ever since. The idea was to teach the methods of HREM to scientists in universities, national laboratories and companies in the USA and elsewhere, to develop new related techniques, and to apply them to all areas of solid state and surface science. The ambitious aim was to explain the properties of matter in terms of the atomic structures and processes seen in the electron microscopes, by combining these experimental results with a vigorous program of theoretical analysis. This was Cowley’s bold vision during the 1980s, during which the resolution of the transmission electron microscopy instruments improved from about 0.26 to 1.4 nm. In most cases this was not quite sufficient to resolve individual columns of atoms in projection, so that a considerable theoretical effort was devoted to image interpretation. Unlike other groups, Cowley’s approach included all multiple scattering effects from the beginning. Following Cowley’s death in May 2004, the facility has been re-named the JM Cowley Center for Electron Microscopy and is directed by Smith. John’s life was almost entirely devoted to his family and his work, and to the extensive international travel it involved during which, in China, Japan, Europe or Australia, he would frequently encounter the extended family of his many devoted ex-students. Apart from classical music, his main hobby was painting in oils; a display of his fine work was mounted at a memorial meeting held in his honour at ASU in mid-2004, attended by his daughters. Throughout his career in Melbourne and Arizona, John Cowley’s calm confidence, scientific vision and sustained industry were an inspiration to those about him. John continued experimental work to the last day of his life. A visit to his office always left the visitor stimulated with new ideas and inspiration ‘ always encouraging, he had a characteristic ability to take a student’s imperfectly formed ideas and to turn them towards new and exciting possibilities with his familiar manipulations and facility in analysis. The intimate relationship between experiment and his intuitive theoretical insight, combined with his unflappable manner, his generosity with ideas and support for others, and his unflagging conviction that electron scattering and imaging were the most powerful tools for understanding atomic processes in solids ‘ these were the characteristics that have left so many of his colleagues in his debt. A full account of the life and achievements of John Cowley can be found by following the link in the Source details below. Moodie AF, Spence JCH, 2006, Biographical memoirs: John Maxwell Cowley 1923-2004, Historical Records of Australian Science, 17 (2): 227-262. [Australian Academy of Science]. Who’s Who in Australia, 2007.